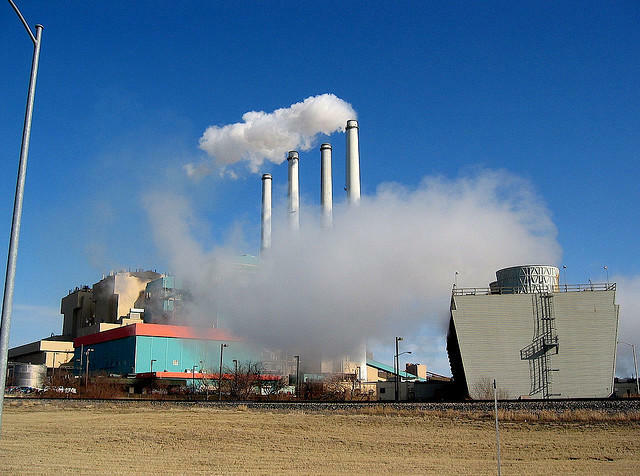 The U.S. Environmental Protection Agency says Billings is now in compliance with federal air pollution standards. Gov. Steve Bullock says this is the first time EPA has reversed a “non-attainment” designation. The EPA’s “non-attainment” designation came in 2013. 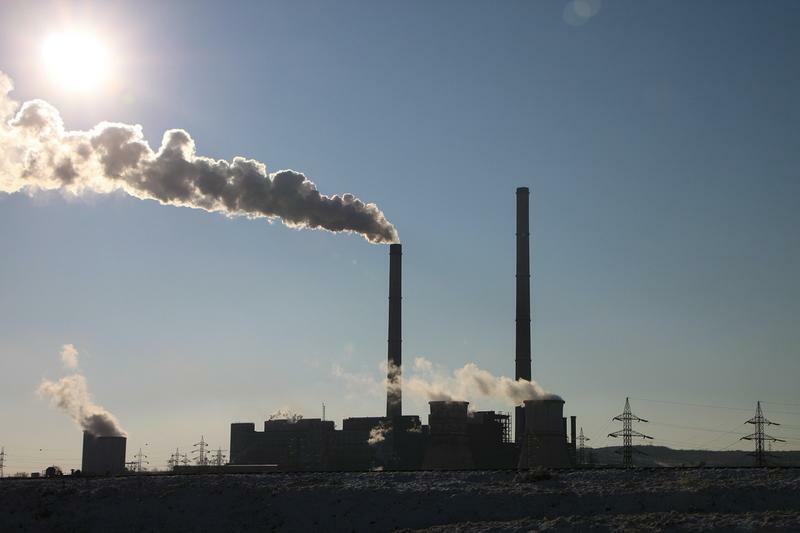 Federal officials pointed to the closure of the coal-fired Corette Power Plant as improving the air quality and the redesignation. But state officials disagree that’s the reason. 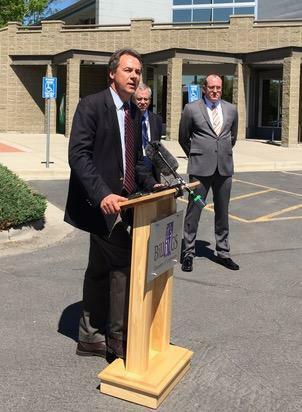 Governor Steve Bullock, D-MT, announcing Billings is the first area in the country to be re-designated as meeting federal air quality standards for SO2. 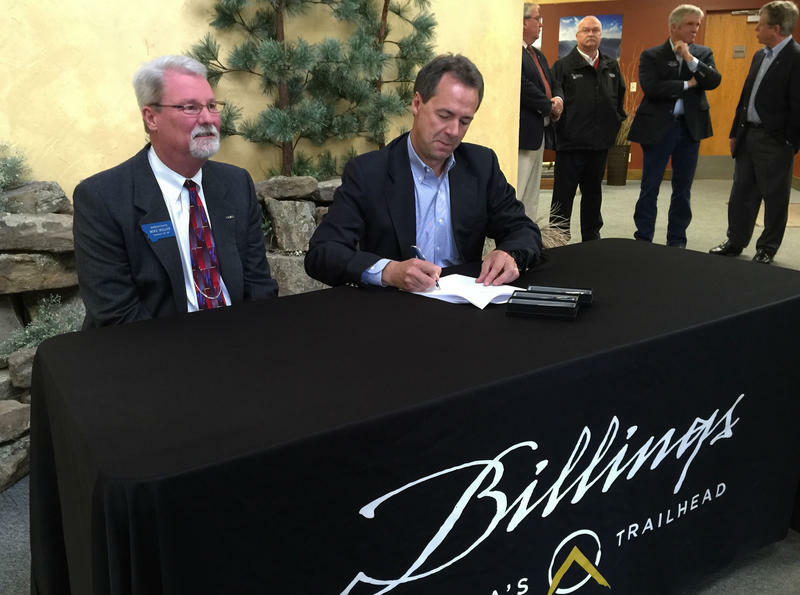 Behind Bullock is John Felton of Riverstone Health and Jeff Walters of the Billings Chamber of Commerce. "This is really not about Corette." Tom Livers heads the Montana Department of Environmental Quality. "The data that we have to build the case for attainment over the period from 2013 to 2015 most of that time period included Corette up and running without some of the voluntary controls that they agreed to." Livers and Gov. Steve Bullock say the EPA based its earlier decision on flawed data. Bullock adds the designation hurt existing businesses because they could have been forced to install pollution controls. "And it also made it less attractive for new businesses looking to locate in this area. The mandates associated with it were rigid. They were inflexible and they added unnecessary burdens and additional permitting requirements." Had the designation remained, the federal Clean Air Act could have allowed federal highway dollars to be withheld from the state. Industry representatives from ExxonMobil, PPL Montana and CHS said they could not comment publicly on the re-designation. Gary Forrester handles government affairs for MDU Resources. He says the company doesn’t have any industrial facilities in Billings, but he applauds the news. "So we’re happy to see the EPA and the DEQ come together, come up with a plan that will work and allow industry in the Yellowstone Valley to expand." Billings was one of 30 that was designated as an area that did not meet the new sulfur dioxide standards and categorized as a “non-attainment” by the EPA. Just over a dozen Montana communities also received that designation. The Bullock administration says will now work to get a designation change for the remaining Montana cities. Tuesday’s Supreme Court vote to temporarily block the Obama Administration's climate change regulations is receiving praise and criticism in Montana. We often hear about the economic costs of environmental regulation on the energy industry. But there’s a flipside to that equation — the price society pays for pollution. One scientist has added up those costs — and found they’re going down. For Inside Energy, the Allegheny Front’s Reid Frazier went to find out why.